While Long Beach Island has much to offer in terms of entertainment, nothing quite can trump the beautiful Atlantic Ocean that is situated right in our backyard. With so much to do on the water, the possibilities are endless, and the hours of fun can be limitless. For those who love to be on the water (or in it), the Seahorse Motel team has come up with several activities that you and your family will thoroughly enjoy. Take a stroll down Long Beach Island Boulevard, and you are bound to find multiple marinas, most eager to take you on a boat ride or a fishing adventure. If you have had vivid dreams of fighting a giant albacore tuna, or spending quality time catching fish with your family on a pristine summer day, then charter fishing is right up your alley. For private charters, check out the Beach Haven Charter Fishing Association (no rod or reel needed). The association also covers boat rides to neighboring Atlantic City or Cape May for a lunch or dinner cruise. Get seasick often? No worries, there’s still plenty to do on our 18 miles of coast. For those wanting to take up a new watersport like surfing or paddleboarding, there’s no experience (or board) necessary! 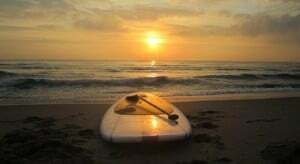 There are several places on LBI that will set you up and give you lessons for both, such as LBI Surfing and South-End Surf N’ Paddle. Leave your board at home? Check out Farias Surf Sport for all your surfing needs. If both surfing and paddleboarding don’t seem to fit you, then maybe kayaking is cut out for you. Again, no experience or kayak necessary; just check out Harvey Cedars Marina and they will cover everything you need (including lifejackets!). Or if nothing else, a day on the beach will be just fine to fit your aquatic needs, with the sand in-between your toes and the cool water cascading around you. No matter what you choose, life is always good on LBI and at the Seahorse Motel—we hope to see you soon!